So I found a video that compares the Internet Speed of 4 Sony high end Flagships as Xperia Z3 Plus, Xperia Z2, Xperia Z1 and Xperia Z. Will Your Desired 4n win. See for yourself. 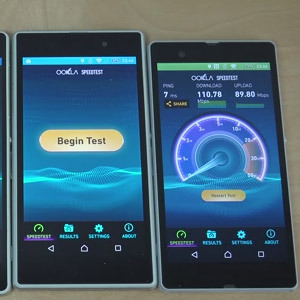 Test was conducted between these smartphones on the same WiFi Network. Results was amazing.